Italgrafica Sistemi is the world’s first user of XJet, the innovative platform developed by OMET and Durst with a high performance inkjet core. Italgrafica is the label printer that you don’t expect. Not for the presses or the kind of customers, but for the spirit of its founder and owner. With Konig Print – the “strongbox” created to acquire companies and strategic participations – Francesco Niorettini it’s not just a printer passionate, but an entrepreneur able to look beyond the known art, encourage innovation, anticipate market changes and guess the right action to perform. The site of Castelgomberto is the place where took place the first world installation of OMET XJet, the label press created from the combination of the innovative tradition of OMET in the field of label converting, with the skills of Durst in the inkjet field: two Italians companies able to create one of the most innovative press on the market, despite the proven difficulty of Italian companies to work together. Let’s discover together the origins of this success. Italgrafica Sistemi, which last year celebrated its 25th anniversary, has a staff of almost 70 people (40 employees in Vicenza offices, 15 at LG label in Lavis (Trento) and a network of 10 agents, for a total turnover of over 12 million euros. Like for many companies of this territory, the origins of the business come from the Vicenza industrial district which was focused, until fifteen years ago, on the household appliance supply chain. “At first we produced labels for packaging, but soon we specialized on high quality and long lasting labels for washing machines and dishwashers, printed in silkscreen or with flexo technology – explains Niorettini – among our customers there were Merloni, Whirplool, Electrolux. Between 2005 and 2006 I started to feel the coming crisis and quickly I decided to differentiate our business opening to the food and healthcare industries”. The strong skills matured by Italgrafica in the field of industrial labeling turn out to be an advantage in other competitive sectors: we succeeded thanks to unique and different solutions. “Ever from the beginning, talking with the brands of food & beverage, we understood technical problems that our competitors didn’t recognize, and this become our strength – continues Niorettini -. We have a wide know how about the adhesive labels, and we were able to offer technical solutions getting value for money. For a beer brewer who wanted to recover the stems, for example, we developed an auto-removing label during the washing process”. Thus, between 2006 and 2010, Italgrafica has grown at exponential rates, until the constitution of the parent company Konig Print and at start of a great investment strategy. “We acquired LG Trento, a specialized label producer in for the wine sector that today is one of our jewels – explains the owner of Italgrafica -. We also develop and commercialize entry-level inkjet technologies, and we are increasing exports by selling directly in Switzerland, France and Germany. But the common denominator of everything we do is an high level of technology”. Beyond the personal vision of Niorettini, from the technical point of view the history of Italgrafica is similar to the most advanced European label producers. “We’ve always had a particular attention for technology and innovation – explains the founder and holder – in 2007 for example we invested in the RFID technology and today we produce labels with microchips. We developed evolved techniques for multipage labels and invested on the use of variable data. We have always pushed on this market, achieving for example multi-material kits of labels for the household appliances assembly, shaped multi-page labels, sOMETimes combining different materials. We work in collaboration with the designers, who stimulate us to find technical solutions for their needs”. The last years have seen a rise of investments and installations of new machines, always characterized by particular functions and, where possible, by personalized technology. Hence, the special relationship with OMET, which has an uncommon ability to customize its modular presses in a “sartorial” way. Digital technology in Italgrafica comes in slight delay, but with a lot of clear ideas. In 2015 the company introduced a Xeikon 3300 with ICE toner, able also to print films: a choice made for having the highest quality and for the desire to not preclude natural papers and materials. After two years, it was time for one step further. 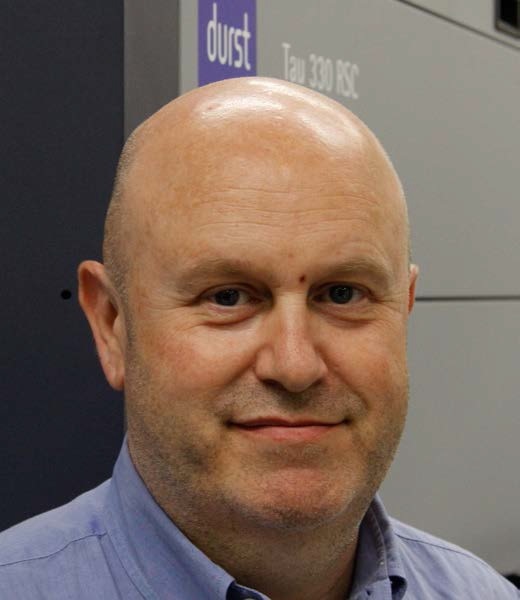 “I’ve always thought that toner and inkjet should be integrated in a hybrid ecosystem made by both digital and conventional technology – explains Niorettini – so, I liked immediately the combination of a highly performing digital like Durst’s, with Samba heads and 8-color engine synchronized with OMET modules: it is the only possible way to make special multipage labels, coupon for competitions and other products for the industry. When it comes to digital vs. flexo, one of the recurring themes is breakeven, the search for the famous break-even point which makes a technology economic or not compared to a certain volume of production. This is one of the areas where the new inkjet technologies, with their productivity much higher than the past digital technologies, are shifting the existent paradigms. This is the direction where Italgrafica chose to orient the new investments, focusing on the XJet. “Our challenge is to make bigger and bigger numbers with digital technology: we have conceived the investment on XJet as the digital key to reach medium/high volumes – says a proud Niorettini -. Already in the first days we have managed high volumes of labels for detergents and oil with hybrid production on polypropylene and polyethylene. While the most part of digital engines is uneconomic for individual jobs over 2-3000 linear meters, with OMET XJet we aim at 10-15,000 meters. Digital will be revolutionary only when it will have the potential to replace flexo”. In the two production sites, where flexo, digital, silkscreen and offset live together, Italgrafica has optimized resources and exploited all synergies, avoiding redundancy. The company has always in stock at least 150 kinds of substrates, that become almost 300 with the supports dedicated to wine. The same goes for metallic foils, both cold and hot, printable also with digital technology. Organization is managed by a MES software, which allows a precise programming and verifies costs and consumption of materials and inks. To obtain a very high print quality and manage color in an advanced way, Italgrafica has been using for eight years Kodak Prinergy software, combined to engraving technology of Kodak NX polymers. “Thanks to NX technology we can get with the flexo a quality almost identical to the offset – explains Niorettini – although the polymers are more expensive, the customer is willing to spend more for a great visual impact of his product”. Customer relationship and the ability to exceed market expectations is one of the competitive advantages of Italgrafica. “We have customers planning an entire day for the start-up day, and finally leave after 30 minutes with their product approved” he says proudly. But if the perceived quality is apparently taken for granted, it’s always more complex to define if the digital print can be the same”. But even on this point Niorettini has clear ideas: “The digital itself is not a relevant issue. The common belief is that digital is a compromising technology of poor quality, but just showing products like ours leave the customers incredulous”. And the competitors? Digital itself is a challenge, given the increase of commercial and web-to-print operators that overlook to the production of labels. “Change has already begun. The recent crisis has brought many sheet-fed printers to convert their business into packaging and labels printing, enticed by more marginality – concludes Niorettini -. Investing in innovation for us is the best way to raise the bar. To increase the professional and technical level helps us to keep the distance. In short, there will always be an uneconomic product for generalists. And we will be there”. What was the first reason that made you look at digital technology? When we bought the first Xeikon we saw a way to produce small quantities in a more efficient way on different substrates. Only two years later you arrived at inkjet and hybrid. What is the challenge today? The challenge is to manage higher volumes with digital technology, above all to recover inefficiencies in changeovers: we have very large orders with a common layout, but with several changes in language, graphics, color palette. We are also working on new kinds of labels with variable data, to be used for competitions and promotions. How much OMET XJet represent efficiency for existing orders, and how much new business? It will take some months to say it for sure. The first challenge is to bring OMET XJet to the minimum volume needed to repay, and this seems quite easy. When we will go full speed, however, we foresee 50-55% of conventional works, and the rest filled with innovative works. OMET and Durst are an unprecedented combination, too … I confess, it was not obvious that these two companies could be two half of the same apple. But both of them have unique features. We bought our first OMET line in 2000, while Durst is a new brand, digital native, which has emerged for its reliability since the first version of Tau. OMET had started before a digital project with another inkjet brand but it never convinced us, neither for quality nor for performance. Everything turned different when OMET started the partnership with Durst to make a hybrid line that combines the best of their two worlds. OMET XJet with its 80 meters per minute of quality, is actually comparable to a flexo performance. We have completed installation and training, so it’s still all on paper. But if we compare a conventional equipment with one digital, there is no doubt that digital has higher maintenance costs. But it’s also true that this cost is rebalanced by lower costs of prepress, polymers, start-up, waste disposal and chemistry. Of course operators must develop new skills, but we are lucky because we have a young team, dynamic and enthusiastic about this innovation. What are the unique features of OMET XJet? 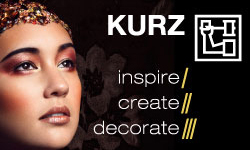 Now there are not many hybrid solutions on the market, but the 8 colors engine by Durst, the very high quality and speed of this machine are an absolutely unique combination. Furthermore, thanks to the independent unwinder and rewinder of the Tau group, we can choose whether to use the complete hybrid line or just the inkjet group, saving an enormous amount of time and waste in the preliminary and start-up phases, thanks to the short paper run. Italgrafica è l’etichettificio che non ti aspetti. Non tanto per il parco macchine o la tipologia di clienti, ma senza dubbio per lo spirito del suo fondatore e titolare. Con la sua Konig Print – una cassaforte costituita per acquisire aziende e partecipazioni strategiche – Francesco Niorettini non è solo uno stampatore appassionato, ma un imprenditore capace di guardare oltre l’arte nota, incoraggiare l’innovazione, comprendere in anticipo i mutamenti del mercato e intuire le giuste mosse da mettere a segno. L’occasione per una visita presso il sito di Castelgomberto è di quelle ghiotte: parliamo della prima installazione al mondo di XJet,la linea di produzione per etichette nata dalla tradizione innovativa di OMET nei macchinari per il label converting, combinata con le competenze di Durst nell’inkjet. Due costruttori italiani che, a scapito della comprovata incapacità delle nostre aziende di fare sistema, hanno messo insieme una piattaforma tra le più innovative. Ma ora scopriamo insieme le origini di questo successo. per l’imballaggio, ma presto ci siamo specializzati nella produzione di etichette durevoli ad altissime prestazioni per lavatrici e lavastoviglie, stampate in serigrafia o in flexo – spiega Niorettini – tra i nostri clienti c’erano Merloni, Whirplool, Electrolux. Poi, tra il 2005 e il 2006 ho iniziato a sentire odore di crisi e di delocalizzazione, e rapidamente ho deciso di differenziare business aprendo all’industria alimentare e all’healthcare”. Eppure le profonde competenze maturate da Italgrafica nell’etichettatura industriale si rivelano la chiave per vincere anche in settori già popolati e competitivi, al punto da riuscire ad elaborare soluzioni uniche e fortemente differenzianti. “Sin dall’inizio, dialogando con i brand del food & beverage, abbiamo colto problematiche tecniche che i nostri competitor non avevano riconociuto, e ne abbiamo fatto il nostro punto di forza – prosegue Niorettini – avendo un grande know how sull’adesivo, abbiamo offerto soluzioni in grado di coniugare requisiti tecnici e un ottimo rapporto qualità/prezzo. Per un cliente che produce birra e voleva recuperare i fusti, ad esempio, abbiamo proposto un’etichetta auto-removibile in fase di lavaggio”. Così, tra il 2006 e il 2010, Italgrafica è cresciuta a tassi esponenziali, fino alla costituzione della capogruppo Konig Print e all’avvio della strategia di investimenti. “Abbiamo acquisito LG Trento, un etichettificio specializzato nel vino, che usciva da lunghe traversie societarie e oggi è uno dei nostri gioielli – spiega il titolare di Italgrafica – inoltre sviluppiamo e commercializziamo tecnologie di inkjet entry-level, mentre stiamo aumentano l’export vendendo direttamente in mercati come Svizzera, Francia e Germania. Ma il denominatore comune di tutto ciò che facciamo è un alto livello di sofisticazione tecnologica”. produciamo etichette con microchip. Poi abbiamo sviluppato tecniche evolute per realizzare etichette multipagina e infine abbiamo investito per fare un uso evoluto del dato variabile. Ci siamo sempre spinti su questo mercato, realizzando ad esempio kit multimaterici di etichette per l’assemblaggio degli elettrodomestici, etichette multipagina sagomate, talvolta anche accoppiando diversi materiali. Lavoriamo in collaborazione con i designer, che ci stimolano a strovare soluzioni tecniche per soddisfare i loro bisogni”. Gli ultimi anni sono stati per Italgrafica un crescendo di investimenti e installazioni di nuove macchine, sempre contraddistinte da funzionalità particolari e, laddove possibile, da personalizzazioni spinte della tecnologia. Da qui nasce il rapporto elettivo con OMET, che alla modularità costruttiva unisce una non comune personalizzazione sartoriale delle configurazioni. Anche il digitale in Italgrafica arriva forse in leggero ritardo, ma con idee molto chiare. Nel 2015 l’azienda introduce una Xeikon 3300 con toner ICE, in grado di stampare anche film: una scelta votata all’altissima qualità e alla volontà di precludersi il meno possibile quanto a carte naturali e materiali. E dopo soli due anni i tempi sono maturi per un ulteriore step. “Ho sempre pensato che toner e inkjet dovessero integrarsi in un ecosistema ibrido fatto di digitale e analogico – spiega Niorettini – quindi, i è piaciuta da subito la combinazione tra un digitale molto performante come quello di Durst, con teste Samba e un engine a 8 colori, sincronizzato con i moduli analogici di OMET: di fatto è l’unica via possibile per realizzare etichette particolari e multipagina, coupon per concorsi, e prodotti per l’industria. per questo abbiamo concepito l’investimento su XJet non come una panacea per le basse tirature, ma come la chiave digitale ai volumi medio/alti – afferma orgoglio Niorettini – già in questi primi giorni di produzione ibrida abbiamo gestito alti volumi di etichette per detersivi e olio su polipropilene e polietilene. Mentre la maggior parte degli engine digitali diventa antieconomica sui singoli lavori oltre i 2-3000 metri lineari, con XJet puntiamo ai 10-15.000 metri. Il digitale potrà dirsi rivoluzionario solo quando avrà le potenzialità per soppiantare una flexo”. Nei due siti produttivi, dove convivono flexo, digitale, serigrafia e offset, Italgrafica ha ottimizzato le risorse e sfrutta tutte le sinergie, evitando ridondanze e appesantimenti. L’azienda ha sempre a magazzino almeno 150 tipi di materiali, che diventano quasi 300 con i supporti dedicati al vino. Stesso discorso per i foil metallici, sia a freddo che a caldo, stampabili anche in digitale. Tutta l’organizzazione è governata da un software MES, che consente di effettuare una programmazione precisa e verificare costi e consumi di materiali e inchiostri. Per ottenere una qualità di stampa elevatissima e gestire il colore in modo evoluto, Italgrafica utilizza già da otto anni il software Kodak Prinergy, abbinato alla tecnologia di incisione dei polimeri Kodak NX. Tutte le macchine sono inoltre accuratamente mappate e caratterizzate, così che ad ogni output vengano applicate le curve più appropriate. 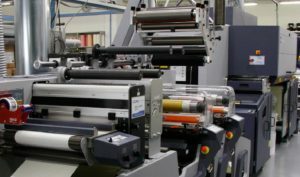 “Grazie alla tecnologia NX otteniamo con la flexo una qualità pressoché identica all’offset – spiega Niorettini – e sebbene i polimeri abbiano un costo rilevante, il cliente è disponibile a spendere di più per un prodotto di grande impatto visivo”. Proprio il rapporto con il cliente e la capacità di superarne le aspettative, è uno degli elementi che rende unica la proposta di Italgrafica. “Abbiamo clienti che pianificano un’intera giornata un avviamento e dopo 30 minuti se ne vanno con il loro prodotto approvato” – afferma orgoglioso. Ma se la qualità percepita è un argomento apparentemente scontato, è da sempre più complesso definire quanto la stampa digitale possa esserlo a sua volta. Ma anche su questo punto Niorettini ha le idee chiare: “Il digitale di per sé non è un’argomentazione rilevante. La convinzione comune è che il digitale sia una tecnologia compromissoria e di scarsa qualità, ma mostrare prodotti come quelli che realizziamo noi, lascia i clienti increduli”. E la concorrenza? Se il digitale è di per sé una sfida, parallelamente aumenta il numero di operatori del commercial printing e del web-to-print che si affacciano alla produzione di etichette. “Il cambiamento è già iniziato. Uno degli effetti dell’ultima crisi ha portato tantissime aziende della stampa a foglio e a modulo continuo a convertirsi al packaging e alle etichette, ingolositi da marginalità più interessanti – conclude sereno Niorettini – ma investire in innovazione per noi è il modo migliore di alzare l’asticella. Aumentare il livello di professionalità e il tasso tecnico ci aiuta a tenere le distanze. In sintesi, ci sarà sempre una tipologia di prodotto antieconomico per i generalisti. E noi saremo sempre lì”. Qual è stata la prima leva che vi ha fatti guardare al digitale? Quando abbiamo acquistato la prima Xeikon l’abbiamo vista come uno strumento per realizzare piccoli quantitativi in modo più efficiente, su differenti materiali. Solo due anni dopo siete approdati all’inkjet e all’ibrido. Qual è oggi la scommessa? legate a concorsi e promozioni. Quanto XJet è efficientamento di commesse preesistenti, equanto è nuovo business? Per dirlo con certezza servirà qualche mese. La prima sfida è portare XJet al volume minimo necessario per ripagarsi, il che si sta rivelando abbastanza semplice. Quando andremo a regime, però, prevediamo che il 50-55% saranno lavorazioni convenzionali, mentre il resto della capacità dovrà essere colmata da lavorazioni innovative e inedite. Lo confesso, non era affatto scontato che queste due aziende potessero essere le due ideali metà di una stessa mela. Ma entrambe hanno contenuti unici. La prima linea OMET l’abbiamo acquistata nel 2000, mentre Durst è un brand nativo digitale, che si è distinto per serietà sin dalla prima versione di Tau. OMET aveva già avviato un progetto digitale con un altro brand dell’inkjet, che non ci ha mai convinti né per qualità né per prestazioni. Tutto è cambiato quando OMET si è invece legata a Durst per realizzare una macchina ibrida capace di unire il meglio dei due mondi. E XJet con i suoi 80 metri al minuto in qualità, è davvero degna delle prestazioni di una flexo. Abbiamo concluso l’installazione e il training, quindi è ancora tutto sulla carta. Ma se confrontiamo un’attrezzatura analogica con il digitale, non c’è dubbio che il digitale ha oneri di manutenzione superiori. E’ altrettanto vero, però, che il maggior costo viene riequilibrato da minori costi di prestampa, polimeri, avviamenti, smaltimento di consumabili e di chimica. Certo gli operatori devono acquisire nuove competenze, ma siamo fortunati perché abbiamo un team giovane, dinamico ed entusiasta di questa innovazione. Quali sono i tratti davvero unici di XJet? A dire il vero non ci sono molte soluzioni ibride sul mercato, ma l’engine a 8 colori di Durst, l’altissima qualità e la velocità ne fanno un mix assolutamente unico. Inoltre, grazie allo svolgitore e riavvolgitore indipendenti sul modulo Tau, possiamo scegliere se utilizzare la linea ibrida completa o solo il modulo inkjet, dove il percorso carta molto breve ci fa risparmiare un’enormità di tempo e di materiale in fase di approntamento e avviamento.